Breaking Dawn DVD and Blu-ray details have been trickling in and we’ve got all of your special edition break downs! (More will be added as they become available, so be sure to check back here). Please note that the details are subject to change this far ahead of time, but more info will become available the closer we get to a release. 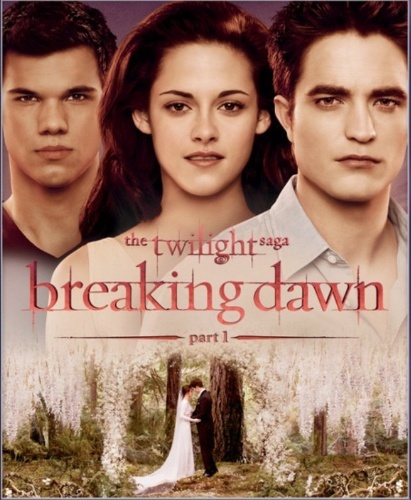 The official Breaking Dawn movie site is running a special promotion right now. If you head over HERE, you can take a pic of your movie stub, send it in, and receive a coupon for $5 off the Breaking Dawn Blu-ray or $3 off the Breaking Dawn DVD! You can pre-order the single disc ($19.99) and two-disc DVD versions ($24.99), as well as the Blu-ray ($29.99), right now at Best Buy (no details yet on whether or not the store will have their own special edition). Walmart will also be hosting special midnight release parties across the country. Click on the links above for more details! 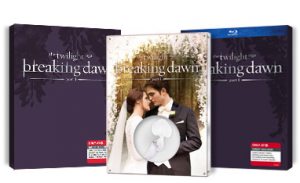 Target will also have their own exclusive edition of the DVD and Blu-ray, which features special packaging, along with authentic prop flowers used in the film. 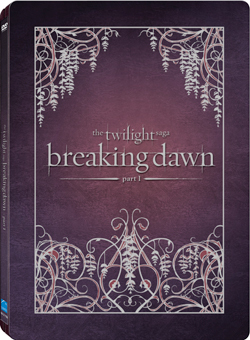 Target will also be hosting midnight release parties in select stores across the country, and will air exclusive footage from Breaking Dawn Part 2! Best Buy is doing their own edition again this year, which seems to be a special steel case packaging (no extras beyond that seem to be included). 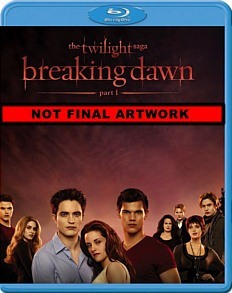 You can order the special steel case edition of the DVD and Blu-ray over on their site. 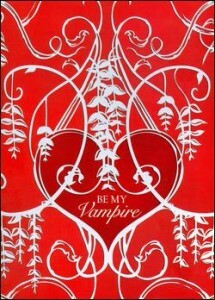 Updated: The special Valentine’s Day packaging is now available at BestBuy.com. HMV will be featuring both the single (£9.00) and two-disc edition (£12.99) DVDs, along with their own exclusive edition (£12.99, which seems to only be a special sleeve at this point). You can also order the Blu-ray/DVD combo pack for £13.50. Play.com is offering the single disc DVD (£9.99), two-disc limited edition DVD (£12.99), and their own exclusive edition of the Blu-ray/DVD combo pack (£13.99), which features art cards from the film (pictured below). Amazon.de will be featuring a 2-disc Fan Edition DVD (no details on the special features) or the Fan Edition Blu-ray for EUR 17,99 each. 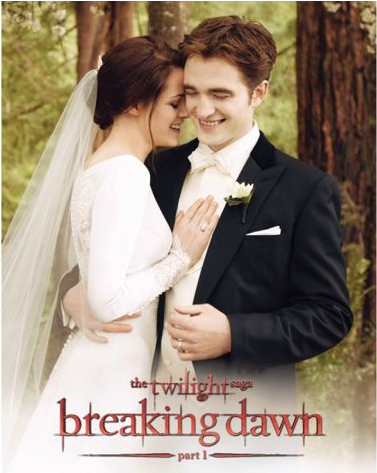 DVD (EUR 15,99) at Amazon.fr. (No cover art or special features yet). Platekompaniet is selling the single disc DVD for Kr 99.50, as well as the Blu-ray for Kr 159.50. CDON.com is selling the DVD for 149 SEK, and the Blu-ray for 199 SEK. No details on the special features yet. JB Hi-Fi is selling the Breaking Dawn DVD for $29.98, as well as the Blu-ray for $34.98 (no final artwork or special features yet). 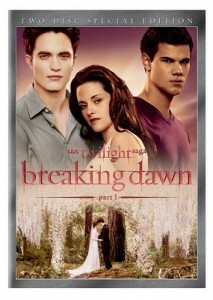 DVD is available for pre-order at Loot for R135.00. wow I love the English cover so much more than ours. Why do they do that…. Log in | 53 queries. 0.967 seconds.